Top Dawg Basketball is made up of basketball curators that relentlessly pursue innovation in all aspects of basketball. This includes training techniques, on court drills, mechanics, nutrition, agility drills, stretching and basketball specific weight training in order to maximize each athletes potential. We work with highly creative coaches and trainers that are only interested in results. Our tools, frameworks, systems, and methods provide athletes of any age, the proper structure required for long-term growth and skill development. Kyle McFerran has taught me the majority of what I know about basketball today. If you want to learn the game of basketball Kyle is the Top Dawg for it. I highly recommend Top Dawg Baasketball! I had the absolute pleasure of being coached/trained by Kyle for a few years. Hands down one of the most amazing coaches I've ever had, holds you accountable and pushes you to be the best on and off the court!! The coaching I received was phenomenal. They build you as not only a basketball player, but as a teammate and person as well. With unique activities and drills, building your skills is always fun, yet challenging. I would highly recommend Top Dawg for an experience that will push you to be the best basketball player and teammate you can be and be a fun experience you will never forget! I've had the honor of both being coached by Kyle and working along side him. In both areas he is incredible. Kyle's passion for the game of basketball and coaching are both undeniable. He personally has helped mold me into not only a skilled basketball player, but also into the man I am today. Kyle as a coach is respectful, hard working and constantly pushes his team and players to reach their highest potential. As a coworker and boss Kyle is confident and understanding. I've met few people who have the same level of passion, drive, and leadership abilities that Kyle possesses. 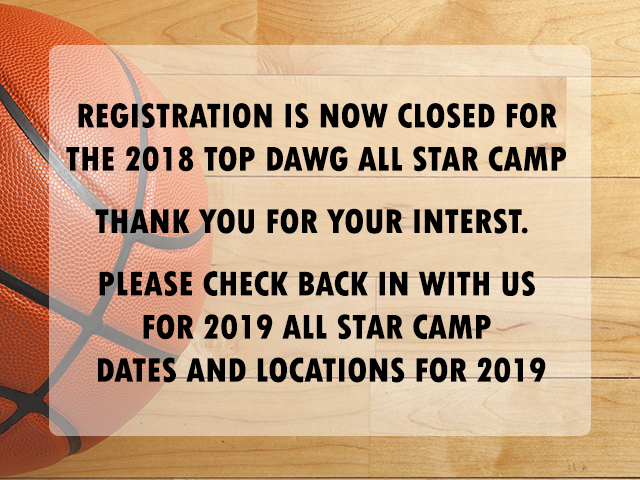 Sign your children up for Top Dawg Basketball and watch as your children grow exponentially on and off the court.